Spark Your Motivation and Ignite Our Determination for what comes next! With all the planning that has been going on the state meeting is coming together! At state there will be lots of fun activates and of course STAR events. There will be amazing workshops, speakers, fitness fever activities, NOYS simulator and much more. Our keynote speaker for this year is Scott Greenberg; he is a motivational speaker that has inspired thousands of people with his workshops and presentations. He has spoken to numerous organizations and is one of the most popular motivational speakers for high school students. This year fitness fever will have a little bit of a twist and we will be able to see what you ill bring to the conference. Each region president has an activity and they will be requesting help to lead the activities so listen up you might be able to help out. If not don’t feel bad bring you sprit and join in on the exercise and fun! There is a new activity that we will be adding into our distracted driving summit which is a distracted driving simulator; which will put you at the test, to see how bad you dive when you text and drive and the harsh realities on the affect of distracted driving. Mayor Rybak, of Minneapolis and Mayor Coleman of St. Paul. They talked about bridging the education gap and continuing Martin Luther King Jr.’s dream of equality; and also giving back to our communities by providing service. On February 28, 2012 FCCLA members are once again going to the capital to shadow legislators from around the state. We are all very excited because we are able to experience how parts of the legislation work and we can also are able to advocate about the importance of FACS Education and all the opportunities that FCCLA has to offer. We have sparked our motivation and ignited our determination we hope you have done the same and continue to work on FCCLA projects and look forward to the exciting events to come! Hey Everyone! I hope your Christmas Break was filled with Fun. It’s hard to believe that it is already January and midwinter meetings are right around the corner. I hope all you members are in the final stages of finishing your STAR Events! Time management is key when working with dead lines. I would just like to remind you of a few important dates to remember. Minnesota FCCLA Shadow Day will be held on February 28th. Region STAR Event Competitions will be held in January and February. Check with your advisor for your region competition date. Minnesota State Chapter Service Award Applications are due on February 1st. All National FCCLA Program Award Applications are due March 1st. Senior Recognition Nominations are due on February 15th. State Conference will be held April 19th through April 21st. The applications for the Chapter Service Award and Senior Recognition are available in the Advisor section on the state website. Good Luck competing in your STAR Events! WE RAISED THE BAR AT NOVEMBER SUMMIT! Raising the Bar is exactly what FCCLA members did at the 2011 National Cluster meeting in Minneapolis! On Friday November 11th we held a Minnesota Summit at the Hilton in downtown Minneapolis. There members from around the state participated in various activities. They were able to listen to a speaker from the Tubman foundation about healthy dating relationships, region officers met with their team and had the opportunity to listen to Trooper Kevin Adrian about distracted driving, and they also heard Rick Anderson speak about Cyber Safety! We wrapped up the day before heading over to the opening session of National Cluster Meeting. As leaders we put our survival skills to the test and joined in on the workshops, competitive events, guest speakers, and many more opportunities! This year’s meeting had multiple focuses on competitions, skill demonstration events, workshops and networking opportunities! The National Officers that led the Minneapolis Cluster Meeting were: Kaylen Larson, Hannah Wright, Kelcie Sturgeon, Jessica Pope, and Jessie Pratt! There were more than 1,000 kids in attendance from many different states! FACS Knowledge Bowl also took place at each Cluster meeting this fall. During our opening session we had the opportunity to hear motivational speaker Gerald Jones. He brought us to the root of leadership and inspired us to make the most out of our responsibilities as an effective leader! On Saturday there were so many opportunities to attend sessions and workshops about the new STAR Events, service projects, youth networking etc. One of my favorite parts of Cluster was the closing session and speaker! John Beede otherwise known as “The Climber Guy,” amazed us with his powerful success lesions and adventure stories. His energy, humor, and message brought us all to a new level of personal achievement! I along with many others were sad to see Cluster come to an end. It was an awesome weekend full of fun, leadership, and opportunities! I had a blast meeting new people and being a part of “The Ultimate Leadership Experience!” Minnesota was very fortunate to host one of this year’s Cluster meetings and it truly was a success, thank you to everyone that attended or helped in any way! Sarah Edwards was reading a text message when her car crossed the centerline of a two-lane road and ran into the rear wheels of a loaded logging truck. She died instantly. Angelina Bandino was walking along a road when an 18-year-old driver struck and killed her because he was typing a text message. Caleb Sorohan was texting a friend as his car veered into the opposite lane and hit a truck head-on. Four of the Minnesota State Officers traveled to our nation’s capitol for a “teens against distracted driving” youth summit called NOYS (National Organization for Youth Safety.) At this 3 day retreat we experienced a car simulator, listened to wonderful panelist speakers, and came together with other student teams and peer mentors (which included Kaylen Larson, our national president,) to find innovative ways to raise awareness of the “X the Text” campaign. Most teenagers think they’re pretty good at texting while driving because some don’t even need to look at the keys while they type, but what about reading the responding text message from your friend? If dared to do so by a friend, would you drive down the highway with your eyes closed for a few seconds? Typing or receiving a text message takes your eyes off the road for an average of 5 seconds, and that’s all it takes. To demonstrate this, NOYS participants got to experience the dangers of this in a car simulator. You wear goggles with a screen on them that shows a road that you must drive on. You must also text a message to someone on your phone while staying in your lane, without going off the road, running red lights, hitting a pedestrian, etc. I was asked by the computer to drive into a gas station while I text. I made it to the gas station, but went off the roads several times. It is very realistic to a texting while driving scenario. Panelist speakers came from all over the United States to share with us statistics, such as, texting while driving impairs your driving ability more than driving while intoxicated. A person driving drunk is still trying to focus on the road whereas if you are texting, you aren’t looking at all. We heard about new laws and/or campaigns to end texting and driving or knew ideas to raise awareness from our speakers, but most importantly, we heard the personal stories from some of them. Wil Craige’s story was featured in “The Last Text” YouTube video. He was declared dead on the scene three times, but pulled through and spoke at the summit. He has come a long way since his accident, and he is one of the sweetest guys anyone could ever meet. He went through tons of physical therapy, and grieved the loss of his friend who had been driving that night, as well as the loss of his ability to have a job, play a sport, or basically, do things on his own. He tells his story to help end car accidents where texting is involved. During our time at the summit, the four Minnesota officers created a plan to raise awareness in our state. We hope everyone will get involved and be as excited about this campaign as we are. Coming up in November, we will have a patrol officer speak at the “Minnesota Day” during cluster. In March, those attending Legislative Shadow Day will be apart in helping raise awareness at the state capitol. We would like chapters to use their imaginations in February during FCCLA week and do something at your school to help spread the “X the Text” campaign. Everyone should also be looking forward to State Conference where there will be a whole day’s worth of workshops on distracted driving because ALL texting and driving car accidents are preventable. State Exec Council plans a great FCCLA year! Find ways that you can succeed with FCCLA! Kaylen becomes new FCCLA President as Morgan leaves VP of PR Office. Final NEC Session at Anaheim. Exchanging state pins at National Conference in Anaheim. Exchanging state pins was a networking opportunity. MN Officer becomes National FCCLA Officer! State Officers put the state conference puzzle together. FCCLA is 65 years old in June 2011. For these years, FCCLA has been devoted to promoting personal growth, leadership development through family and consumer sciences education, focuing on the multiple roles of family members, wage earners, and community leaders, members develop skills for life through: character development, creative and critical thinking, interpersonal communication, practical knowledge and career and technical preparation. 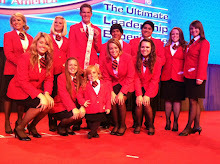 Formerly called FLA/ FHA or FHA, FCCLA is the Ultimate Leadership Experience!